A South Belfast library will have its hours cut if the plans from a consultation by library chiefs goes through. Carryduff Library, which currently opens 21 hours a week, will have that reduced to 18 hours if the proposals by Libraries NI are backed. According to figures presented to Castlereagh Council at its monthly meeting last week, the facility received 38,919 visits in the financial year 2010/11, meaning it falls into Libraries NI’s ‘band four’ or lowest rated library. As such, a public consultation running until December 2 has recommended it reduce its opening hours as part of an overall ‘review of library provision’ across Belfast. Carryduff councillor Geraldine Rice said she was “disappointed” by the news and urged Libraries NI to keep the current opening hours. “Three hours may not seem like very much but that’s how things begin. If the library has its hours cut and cut, it will continue to lose visitors and therefore it will become much easier to close it permanently somewhere down the line. “A library is not just about borrowing books but it is a community hub. Young people use the computers for a lot of things and reading is the best education you can get. 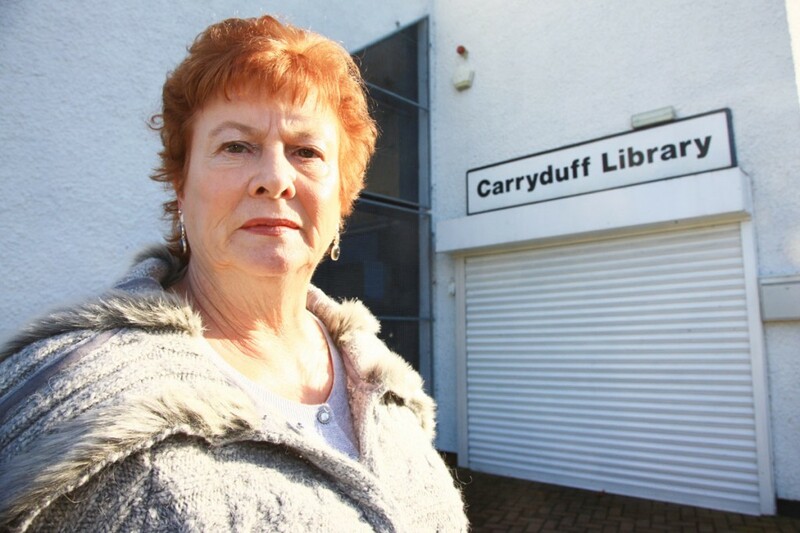 Many elderly people live close to Carryduff Library and they use it to interact with others. The move follows the closure of Belvoir and Sandy Row libraries last year as part of another review into library provision. A Libraries NI spokesperson said savings required to meet financial targets meant a range of measures needed to be taken. “Libraries were assigned to a band based on their activity levels in 2010/11 as calculated by key issues such as active members, visits and use of public computer terminals.